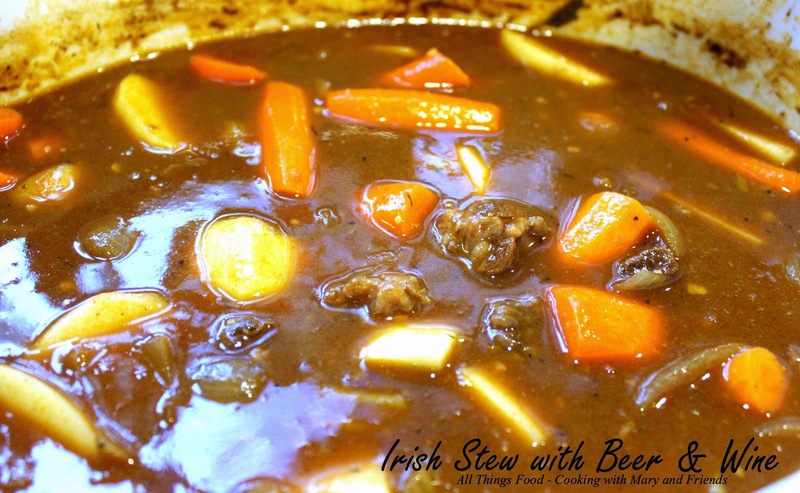 Today you can find many recipes for Irish Stew, some with beef and some with lamb ... no matter how you make it, this is comfort food at its best. I come from a long line of Irish ancestors. My maiden name is Walsh, my mom was a Conron, her mother was a Phelan, and my great-grandmother was a McGee, so you know this Irish Beef Stew speaks loudly to me. It's something I grew up on, part of my heritage, and one I love to serve to this day. Combine beef pieces and flour in a zip-top bag and shake to coat; place all in a slow cooker sprayed with cooking spray. Add the next 11 ingredients and stir to mix well. Cover and cook on low 8-10 hours or on high 4-6 hours. If you're in a hurry, parboil the potatoes and carrots until partially cooked; add to slow cooker and turn on high for 30 minutes and cook until softened. Otherwise, add the potatoes and carrots during the last 2 hours of cooking time (be sure to turn the slow cooker to high). Serve stew immediately with a nice crusty bread for dunking in the stew. *Beef base - To make a quick beef base, roast beef bones (soup bones, rib bones) in a large roasting pan several hours (this is going to take about 3 hours) in a 250-300 oven until marrow is cooked. Add 8 cups water and cook an additional hour or two until broth has reduced in half. Add salt, pepper and garlic powder to taste. At this point you can either "put it up" by canning it in a pressure canner, or freeze it for use another time. 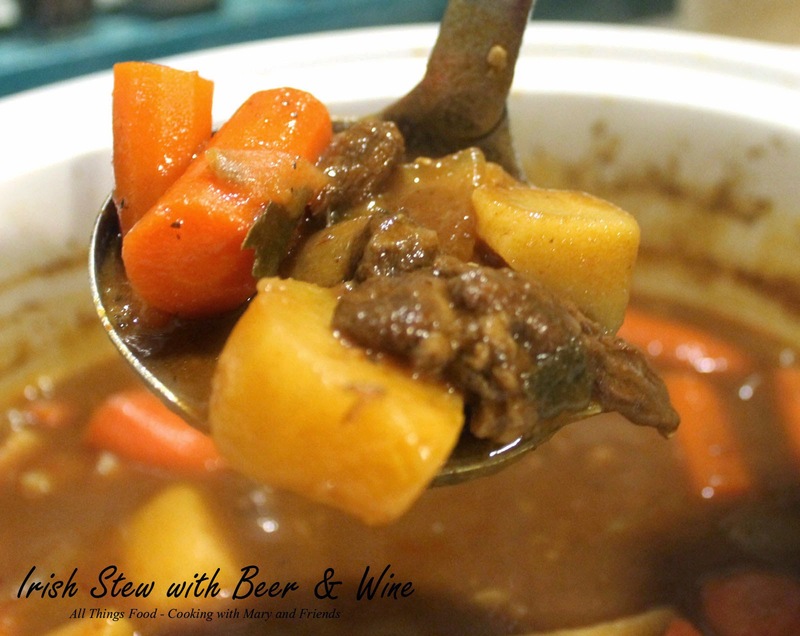 I like to make beef base and keep it on hand for when I want to use some, such as in this stew recipe. 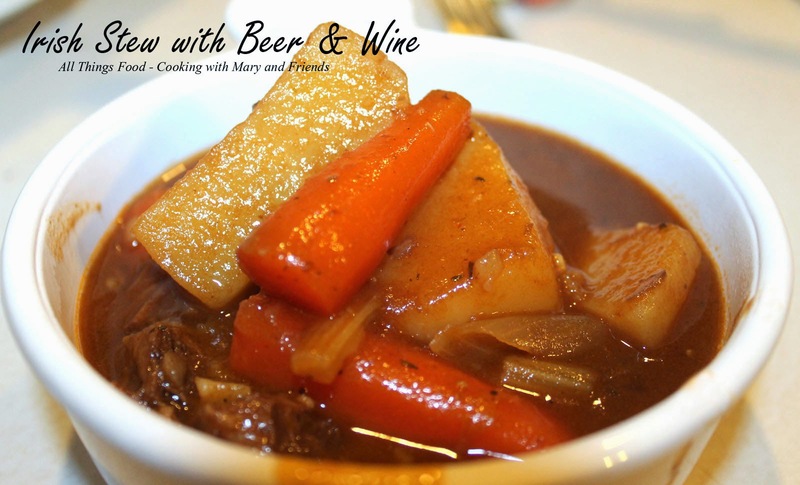 It's also amazing in vegetable beef soups, French onion soup, or almost anything calling for a hearty beef base. You can also use homemade beef bone broth. Alcohol substitutes - If you'd rather not use the beer and wine, substitute non-alcoholic beer for the Guinness and apple cider or unsweetened grape juice for the wine. Some balsamic vinegar or red wine vinegar could also be added a teaspoon at a time, until flavor is where you like it. I love everything in this! This sounds so good and the dark beer makes the meat so tender! Have a great St Patricks Day!! Thanks for the recipes! !